MiradasDoc is an International Documentary Film Festival that is focuses primarily on films produced or shot in the Third World and in developing countries. 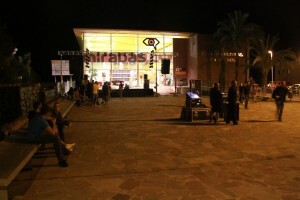 The festival combines five distinct yet complementary events. -International —which in turn comprises the feature-length, short film and first film categories. -Film Library of the South —which offers a tour of the different national cinematographies on the three continents we focus on. -Off/Documentaries Today: a thematic sampling that, as the name indicates, reflects upon certain aspects of the current state of documentary film around the world. Every year, MiradasDoc’s official section awards over 40,000€ in prizes.